Nakheel tower ... boasts of a five-star hotel and residential complex. Leading developer Nakheel has awarded a contract worth Dh819 million ($223 million) for the construction of The Palm Tower, its 52-storey, five-star hotel and residential complex on Dubai’s Palm Jumeirah. UAE-based Trojan General Contracting and National Projects & Construction have been signed up to build the luxury landmark, which will tower almost 240 m above Dubai’s world-famous Palm Jumeirah island, said the company in a statement. The Palm Tower comprises 504 luxury residences and a five-star, 290-room hotel with an array of dining and leisure facilities, including a rooftop infinity pool, restaurant and viewing deck. The hotel will occupy the first 18 floors of the building. The Palm Tower residences, on sale with prices starting from Dh1.7 million ($462,724), boasts of fully-furnished studios and one-, two- and three-bedroom apartments with panoramic views of Palm Jumeirah, the Arabian Gulf and the Dubai skyline, the statement added. According to the developer, the residents and guests at The Palm Tower will enjoy direct access to Nakheel Mall, currently under construction at the heart of Palm Jumeirah. The luxury mall, one of 10 new, large-scale retail projects from Nakheel, will have 300 shops, cinemas, a medical centre, a fitness centre and a roof terrace offering fine dining outlets and unrivalled island, sea and skyline views, it added. 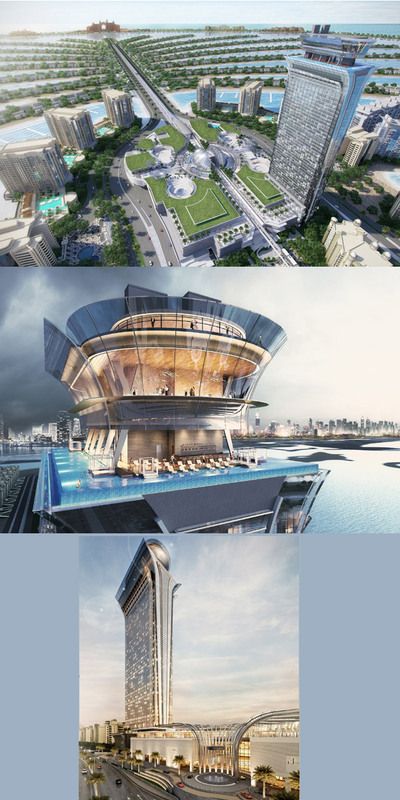 The Palm Tower will also offer direct access – via a bridge and walkways – to Palm Jumeirah’s beach clubs, including Nakheel’s Club Vista Mare and Palm Promenade West Beach projects.